On their way to Olympic gold thanks to Samsung SmartSuit? The Samsung SmartSuit was unveiled today in IJsstadion Thialf. The innovative skating suit and associated app help Dutch short track skaters Sjinkie Knegt and Suzanne Schulting to improve their skating posture in real-time during training. The two are currently the only skaters in the world to use the suit. With this secret weapon, they stand a good chance of winning medals at the Olympic Winter Games PyeongChang 2018. 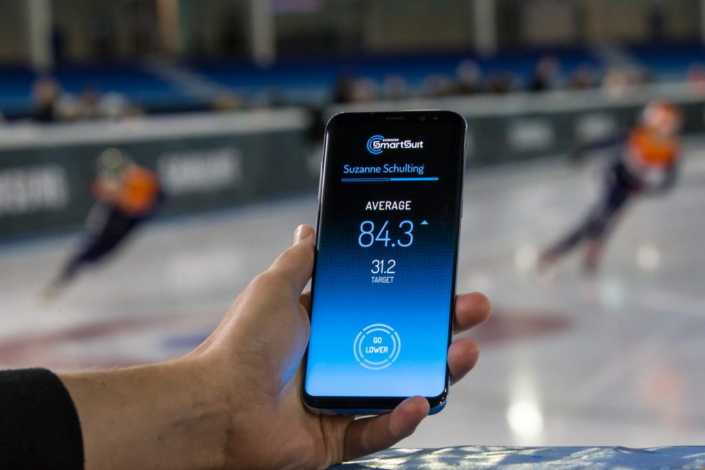 The Samsung SmartSuit is a custom-made short track skating suit that measures the skater’s precise body posture in order to calculate the distance from their hips to the ice and uses a wireless connection to communicate with coach Jeroen Otter’s smartphone via an app that provides data in real time. This allows him and embedded scientist Bjorn de Laat to see whether Sjinkie and Suzanne are bent deep enough with millimetre accuracy. If their posture is not optimal, the coach can press a button to send a vibration that the skater can immediately feel on their wrist. This allows the skater to adjust their posture accordingly. 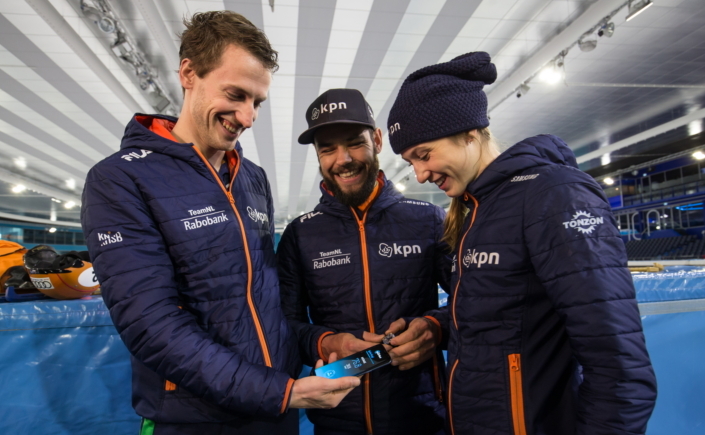 Samsung Benelux sponsors Sjinkie and Suzanne in their preparations for the Olympic Winter Games PyeongChang 2018, and they have developed the Samsung SmartSuit and the application specifically for the two skaters in cooperation with the Royal Dutch Skating Federation (KNSB). Wireless connection is the key element of the SmartSuit. In doing so, Samsung gives new meaning to the term ‘sponsorship’: with the help of technological innovation, the brand can actively contribute to athletes’ performances. Samsung’s involvement in the Olympic Games began with the company’s local sponsorship of the 1988 Olympic Games in Seoul. In 1998, Samsung expanded its sponsorship activities by becoming a Global Olympic Partner in the field of wireless communications equipment, providing the Games with its own wireless communications platform and mobile devices. These innovative mobile technologies offer the Olympic community, athletes and fans around the world the opportunity to communicate interactively and to exchange information.